Will I Be Forgiven of the Deficiency in a Short Sale? 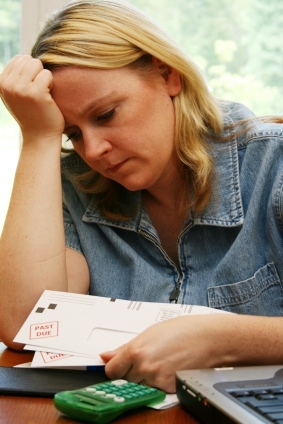 Facing a financial struggle can be a really challenging part in any individual’s life, especially if it was due to any number of hardships beyond the individual’s control such as the loss of employment, death of a family member, divorce, or any other difficult changes in ones financial situation. One of the most demanding financial obligations that any individual has are mortgage payments, and any blow to the financial capabilities of the individual can directly affect how he or she handles their mortgage payments. Financial obligations aside, if any homeowner however is forced to neglect or simply cannot afford the the monthly financial obligation that he or she has on their mortgage, there are only a number of options that he or she is left with. Foreclosure or short sale the home are the two most common for a borrower who must be relieved of their monthly financial obligations. These two options are not the only options available for a delinquent homeowner, but these are two of the easiest and most effective ways that can be taken especially if the homeowner has no other options available. But these two options also have a really large drawback in the form of a deficiency. Deficiencies are merely the difference in the homeowner’s owed mortgage debt to the lender as a result of selling a short sale home or a foreclosed property. Basically, selling a short sale or allowing your home to be foreclosed effectively decreases the value of your property as compared to the original mortgage payment, therefore resulting in the difference of amount that the homeowner still needs to pay to the lender. While the main differences between a foreclosure and short sale is clearly felt on the individual’s credit score rating (which can affect the relationship of the individual to banks, lenders, and shows up on the credit of the individual which might affect his employment status etc. ), there are some differences to note with regards to each method’s deficiencies and the pros and cons for each that the homeowner might need to know to effectively determine whether to go for the short sale of a home or allowing it to go to foreclosure. In many states, a lender can't legally pursue collection of the deficiency in a short sale or foreclosure. The first step for any borrower in hardship to do is to determine if they are in a recourse or non recourse state. In many states or in many cases, a borrower simply forfeits the property, suffers the negative credit impact of a short sale or foreclosure, and moves on with their lives. For those who may still be liable for the deficiency, simply walking away and allowing a foreclosure can permanently scar ones credit and financial future.